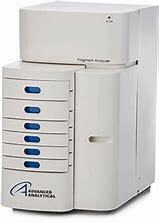 The Fragment Analyzer INFINITY is the only parallel capillary electrophoresis instrument for the QC analysis of nucleic acids capable of seamless incorporation into laboratory automation systems. 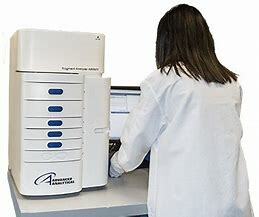 Capable of analyzing thousands of DNA and RNA samples per day, the Fragment Analyzer INFINITY takes nucleic acid analysis to the next level. No matter how many samples need to be analyzed, post-separation data analysis is a breeze with the proprietary PROSize® Data Analysis Software and auto-data processing. Automate data scoring. Calculate fragment size and concentration. Create, save and load customized reports and scoring parameters for flagging and smear analysis.